Since 1972, Gregory Pest Solutions has been providing homeowners a smarter way to manage their pest control. From Virginia to Louisiana, North and South Carolina, Georgia, Tennessee, Florida, Alabama, and Mississippi, we’ve been offering families just like yours the residential pest control services they need for decades. We pride ourselves on our ability to offer safe and ecologically-friendly pest control solutions that not only remove existing pests, but prevent future infestations as well. Whether you’re looking for indoor or outdoor assistance, or insect or rodent control, our highly trained technicians have the skills to meet your needs. As a homeowner, you need to protect your assets. Not only do you need to protect your home and possessions, you need to keep your loved ones safe as well. With over forty years as a family-owned business, Gregory Pest Solutions understands this. Because you care for your home, you need the best. Think smarter. Think Gregory. 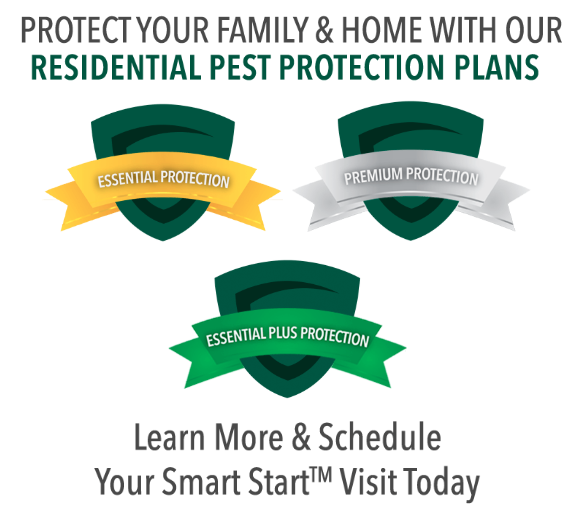 Our Residential Pest Protection Plans offer your home continuous protection from problem pests. We’ll develop a custom prevention plan that takes into account your home, needs, and specific concerns. Crawl Space and Moisture Control services from Gregory Pest help you fix your home’s environment so it isn’t a natural draw for pests that are drawn to dark, wet places. Pond and Water Feature Management keeps your landscaping looking fresh and clean without bringing in unwelcome visitors. Termite Control and Removal keeps your home protected from the dangers of a termite infestation, including furniture destruction and damage to your home’s infrastructure. Mosquito Control and Removal from Gregory Pest is the solution you need to keep away these purveyors of dangerous disease and filth.